Pick up Your Pliers, and Let’s Get Wrapping! 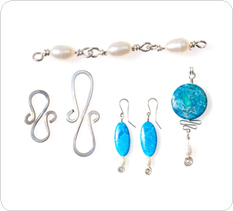 Welcome to the Wire Jewelry Online Classroom, where you’ll learn foundational wire wrapping technique and creative use of tools to create the wire jewelry you’ve been longing to make! 3 – Lock That Rock! 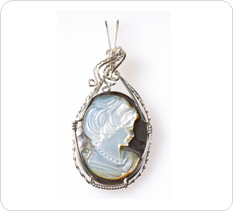 Watch Dale “Cougar” Armstrong create fashionable wire jewelry in these detailed, step-by-step, Hi-Definition jewelry videos. 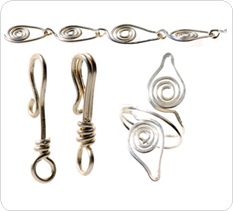 You’ll feel like you’re right there in Dale’s studio as she teaches you tool technique, wire wrapping technique, and complete, ready-to-wear wire jewelry patterns. Ranging from 30 minutes to 1.5 hours, each jewelry class is well-paced, with opportunities for breaks, practice, and catch up time, so you never feel rushed or uncomfortable. You’ll have the experience of an in-person jewelry class, in the comfort of your own home. 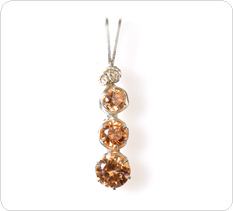 Have you ever gazed at a complex jewelry piece, stunned by the components and design included in the piece? You can do that too! 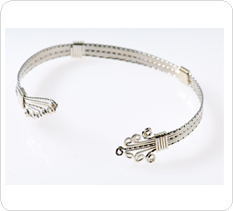 Dale breaks each pattern down into simple components, then assembles the wire and beads into a wire wrapped work of art. 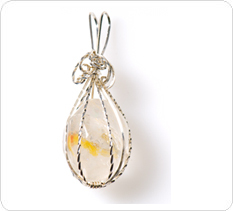 Before you know it, you’ll be creating intricate, awe-inspiring wire wrapped jewelry as well. Here’s a hint: watch the classes in order. Each class builds on techniques and ideas discussed in earlier videos, so you won’t miss any nuggets of wire jewelry gold! Click on a class above to get started today.